SIFVEIN-1.4 assists you and your hospital staff in seeing vascular deeper and more accurately. 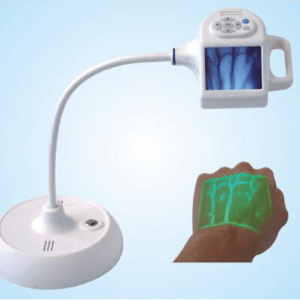 The venous imaging system is a high-tech product. The SIFVEIN-1.4 does not only provide high quality display, but also easy to use and facilitates the vein viewing process. SIFVEIN-1.4 displays human veins on the surface of the skin accurately, in real- time and clearly. It helps Medical staff find vein’s location and reduce needle stick attempt. 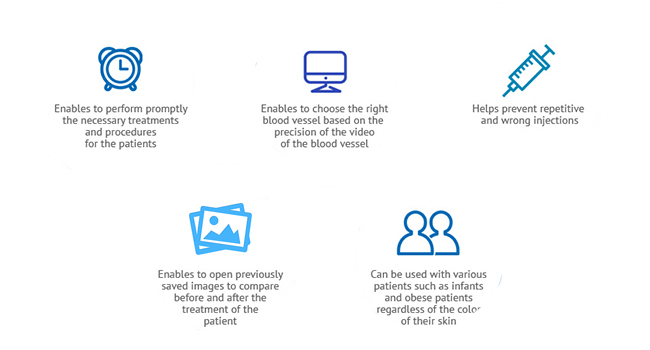 SIFVEIN-1.4 provides a significant help for patients with vascular positioning difficulties such as obesity, swollen tissue, hairy skin, dark skin, hypovolymia.. 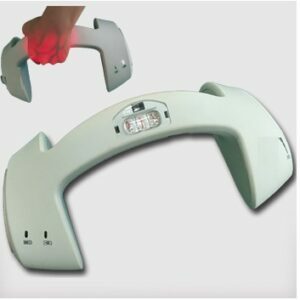 It assists medical staff to locate and find veinsquickly and accurately during I.V.. and it can increase the success rate of I.V., relive Nurses’ work pressure and reduce the patient’s fear and pain and improve the quality of Medical services. Finds veins in all body parts hands, scalp ,foot, arm, face, etc. 360 degrees of rotation freedom. Display the vein of human clearly. Assist the medical staff to puncture successfully, especially for the patients with obesity, edema, dark and hairy skin which is difficult to find vein. > Technical principle: Different absorption of hemoglobin in the vein to the infrared light,Through the conversion of HD system ,so as to present the vein clearly and real -time.